The solution to bad smells in your household rubbish. All kinds of unpleasant smells land in your bin: Now, onions, cabbage, garlic etc have no chance. 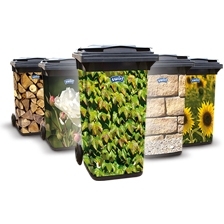 New Swirl® anti-odour bin liners have an odour absorber which reduces the build up of unpleasant smells.